Sunrise through cloud, near Page, Arizona. This image arouses suspicions of reckless image manipulation. In fact, this is how the scene appeared. 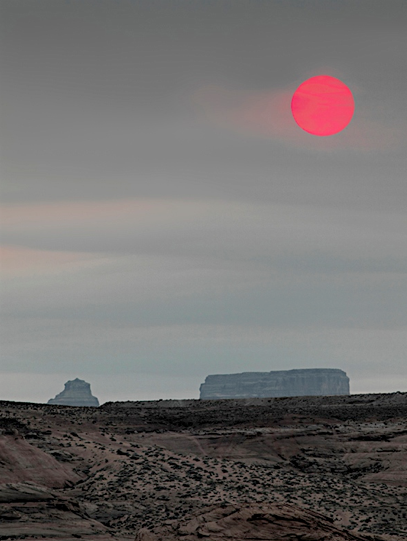 The sun burned through what had seemed an impenetrable smokey overcast. Moments earlier, I was packing up my equipment to leave the shoot with nothing. The sun, when it appeared, really was that color.